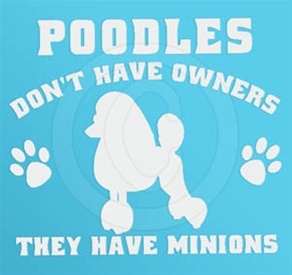 "Ten Peeves Dogs Have With Humans"
2. Yelling at me for barking. 5. Any haircut that involves bows or ribbons. 6. The sleight of hand, fake fetch throw. 8. Getting upset when I sniff the crotches of your guests. 9. Dog sweaters. Hello ??? 10. How you act disgusted when I lick myself. "Good thing you came home when you did. 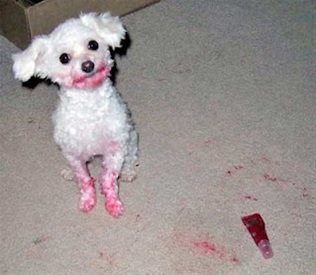 The cat got the lipstick and it was awful"